We've been working on implementing our travel portal for some time now. Today, we're pleased to let you know that golf4you published the prototype version of its travel portal for golf trips. We'd like to take this opportunity to invite all the Companists and golfers to give us feedback on the structure and design of the website. Together, we can optimize its user-friendliness and identify potential sources of errors. By logging onto https://booking.golf4you.com/ibe, users can test the trial version of the travel portal for golf vacations. More than 30 hotels and 50 golf courses from Spain's Costa del Sol will be displayed on the site's prototype version. A few important details in advance: It's a disconnected prototype page, meaning users are able to execute the booking process but CANNOT finalize their reservations. Entered credit card data is neither stored nor charged. The depicted prices on the website are so-called "place holders" and do not represent future golf4you offers. The prototype page allows users to test the usability of the site and familiarize themselves with the booking process. The search mask is able to focus on the region, a certain hotel or golf course. These are displayed on a map, which shows the location of individual golf courses and their proximity to a particular hotel. By clicking on details, additional information about the hotel or the golf course is shown, which ultimately forwards the user to different offers. Once an offer is selected, the individual tee times can be determined and alternative flight times are shown. After the hotel, flight, and golf offers have been selected, the user is then prompted to enter their passenger data and is finally directed towards the payment and confirmation page. 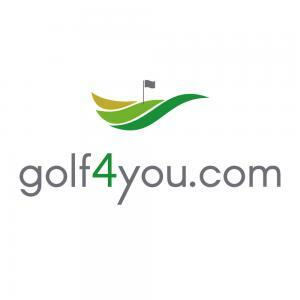 As golf4you previously indicated in the Pitch Deck, booking on our website is easy and convenient and does not require users to repeatedly enter their address or other data. We're still on target and will be going live with all four of our planned travel destinations at the end of May. We look forward to going over the feedback from the investor and golfing community and will be personally available to receive your comments via live chat on our prototype page over the next few days. Of course, we hope that the first glances at our planned portal will convince additional Companists to invest with us or encourage those who've previously submitted investments to increase these sums.